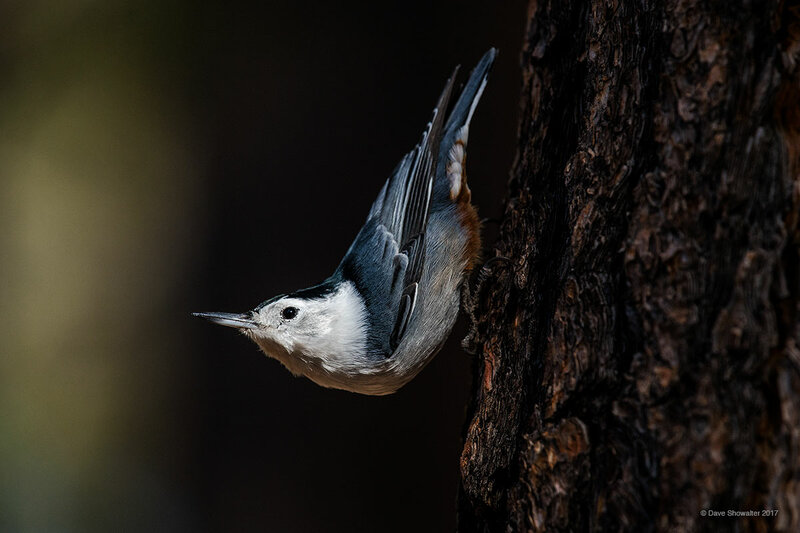 White breasted nuthatches are common in the ponderosa forests of the Kaibab Plateau, plucking insects from grooves in the tree bark with long beaks. Ponderosa Pine are evolved to protect themselves from fire, but recent extremely hot and intense fire events have burned large forested areas. This image was made on the North Rim's Kaibab Plateau. Photo © copyright by Dave Showalter.